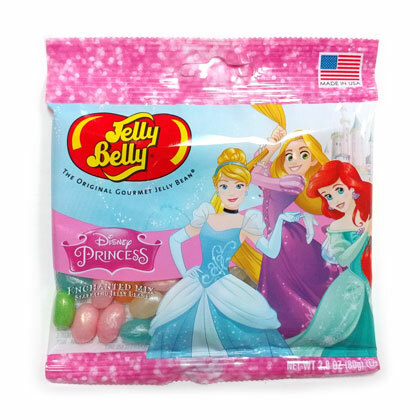 Bring out your inner princess with these enchanted jelly beans! Assorted flavors of berry blue, blueberry, bubble gum, cream soda, orange, sour apple and very cherry. Sparkling jelly beans. 2.8 oz peg bag.